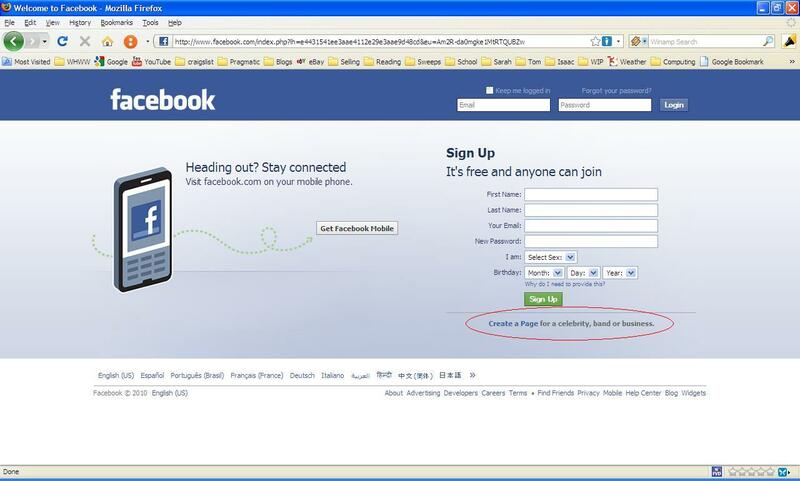 I’ve read about such “notification.” The person logged in to facebook to discover his account was removed. All friend contact info gone. Everything gone. Bummer. 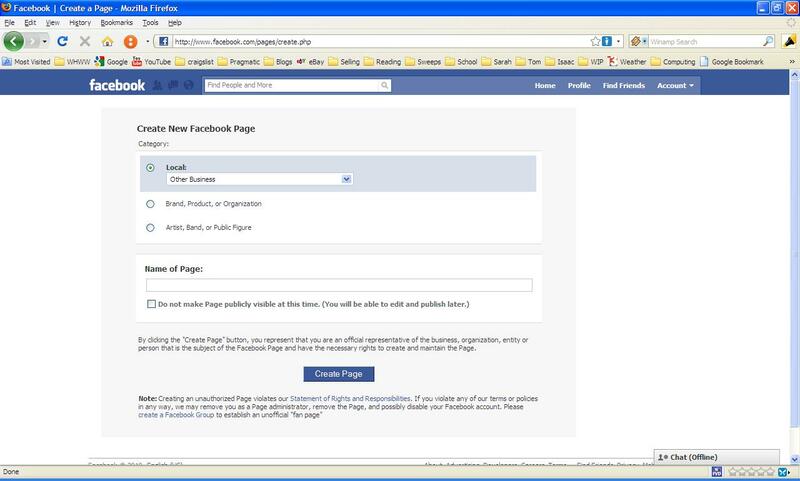 The type of page you choose here will also automatically include certain common facebook apps for that type. 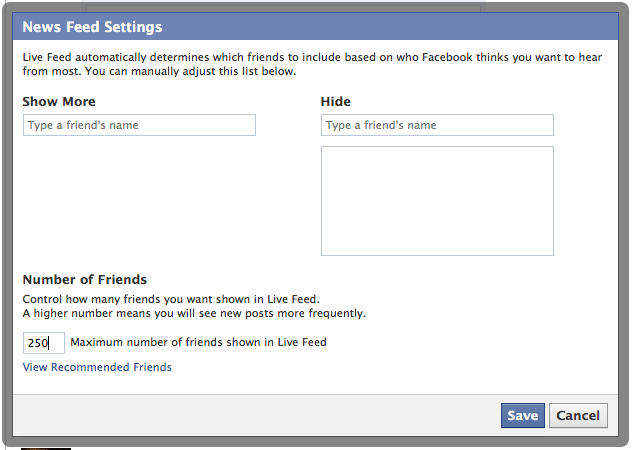 However, your use of different facebook apps isn’t limited by the type of page you create. You can add any app you want later. The type of page just automatically adds some based on the most common apps used for a particular type of page. If you choose to link your facebook page to your twitter account, your facebook page updates will automatically tweet the first 140 characters of the update – including a shortlink back to the update so your followers can read the entire thing – and possibly become a fan of your page. VERY, VERY IMPORTANT: BE CAREFUL! 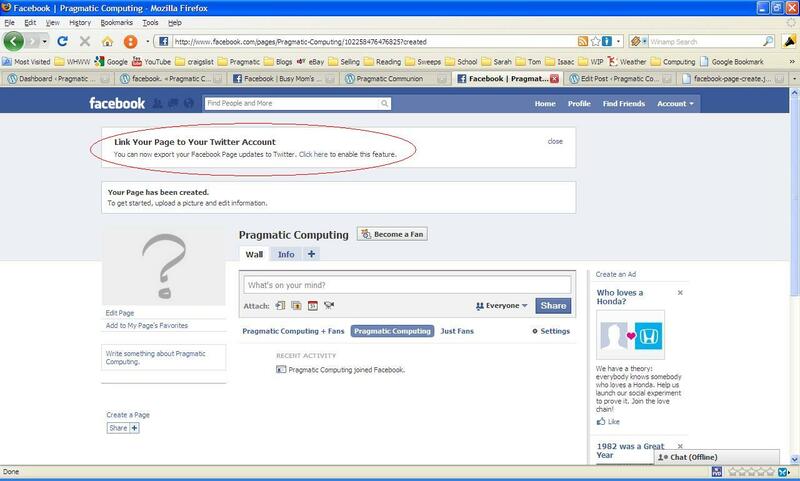 IF YOU MIX UP YOUR PROFILE AND YOUR PAGE NAME IN THIS REQUEST, FACEBOOK WILL NOT HELP YOU FIX IT!! 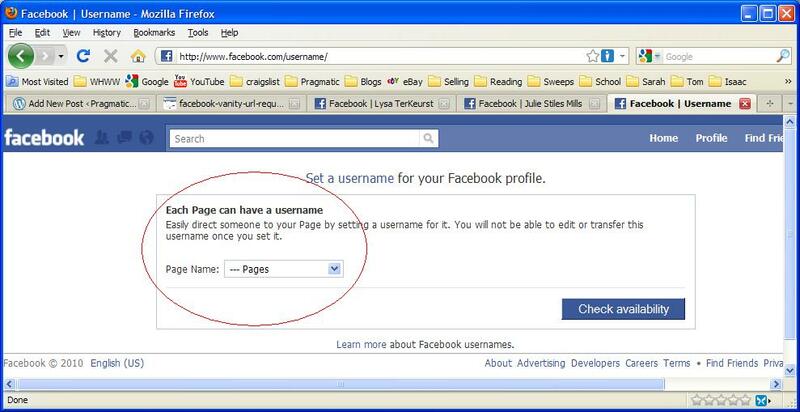 YOU COULD END UP WITH YOUR INTENDED PAGE NAME AS YOUR PROFILE NAME INSTEAD. 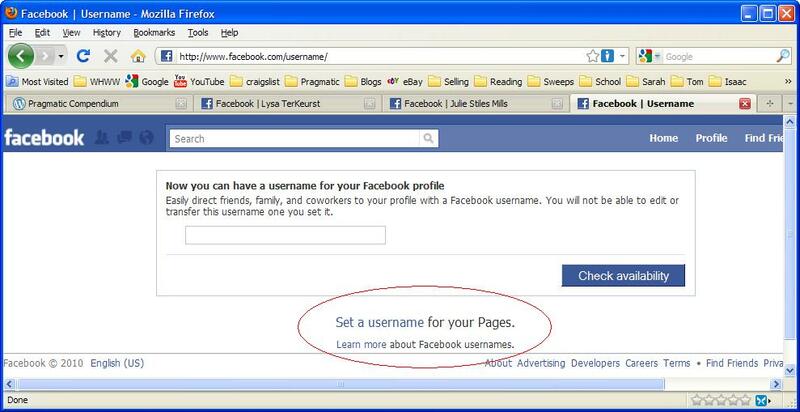 If you have a facebook PROFILE: The default is to request a vanity URL for a PROFILE, so go ahead and type in your requested name. Click the drop down arrow, and your page should be displayed. Select it and then click “Check Availability” to confirm. If your page name is unique, you should get it! Good luck!